Franklin Performing Arts Company (FPAC) presents Monty Python’s Spamalot on October 21-22 and 27-29. The production will be staged at THE BLACK BOX, FPAC’s home and performance venue located at 15 West Central Street in downtown Franklin. A hilarious retelling of the legendary tale of King Arthur and his Knights of the Round Table, the musical parody is inspired by the 1975 classic comedy film, Monty Python and the Holy Grail, and likewise diverts from more traditional versions of the legend. Monty Python’s Spamalot features irreverent shenanigans including a bevy of beautiful showgirls, a flatulent Frenchman, and killer rabbits. Outside there is plague with a 50 percent chance of pestilence and famine. Throughout the show, Arthur, traveling with his servant, Patsy, recruits several knights, including Sir Bedevere, Sir Robin, Sir Lancelot, and Sir Galahad, to accompany him on his quest. They meet such memorable characters as the Lady of the Lake, Prince Herbert, Tim the Enchanter, and Not Dead Fred. With book and lyrics by Eric Idle and music by Idle and John Du Prez, the 2005 Broadway production won three Tony Awards, including Best Musical, after receiving 14 Tony Award nominations. Paige Martins of New York City leads the cast as the Lady of the Lake. Martins is an alumna of the Franklin School for the Performing Arts and toured Europe as a member of Electric Youth. With a Bachelor of Music degree from the University of Miami, her vocal versatility and expertise in a wide range of styles has been showcased in venues worldwide from the Ariston Theatre in Italy to the exclusive Schönbrunn Palace in Austria. 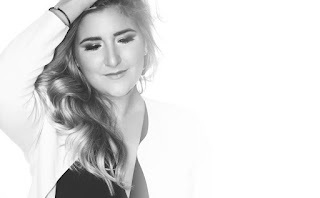 For the past three years, Paige has traveled to more than 50 countries performing with a variety of bands and captivating audiences with her powerhouse vocals. With FPAC, Paige has been seen in Footloose (Ariel Moore), ’Tis the Season! (Featured Vocalist), and The Sound of Music. The talented cast of area performers in Monty Python’s Spamalot includes Greg Leach (King Arthur), Nick Paone (Sir Lancelot), Peter Wyner (Sir Bedevere), Jim Braunstein (Sir Galahad), and Jason Barney (Patsy) of Franklin and Griffin Wilkins (Sir Robin) of Walpole. Nick Paone and Raye Lynn Mercer direct the production, with choreography by Mercer, Casey Harkness Andrade and Kellie Stamp. The show features a professional orchestra conducted by FPAC Musical Director Hallie Wetzell of Franklin. The show’s lighting design, by Franklin’s Nathaniel Packard, includes the iconic Monty Python animated projections. Original costumes for the FPAC production are designed by Merrie Whitney of Franklin. Show times are October 21, 27, and 28 at 7:30 p.m., with Sunday matinees at 2 p.m. on October 22 and 29. Tickets are $34. Monty Python’s Spamalot is presented through special arrangement with and all authorized performance materials are supplied by Theatrical Rights Worldwide, New York. For more information or to purchase tickets, call (508) 528-3370 or visit www.FPAConline.com and www.THEBLACKBOXonline.com.